Start your engines! 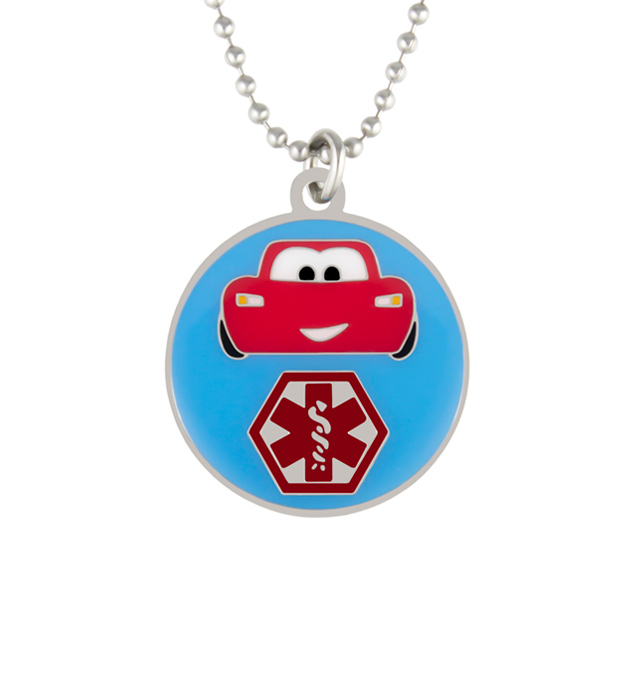 The Rev It Up Medical Alert Necklace is a fun take on traditional kids’ medical ID necklaces, featuring a sporty red racecar and a bold red medical caduceus symbol that alerts first responders to your child’s information, engraved on the back. As with all stainless steel Lauren’s Hope medical IDs, both the pendant and necklace chain are nickel-free stainless steel for comfortable, safe, water-resistant wear. Rev It Up is a durable kids’ medical alert necklace you’ll only find at Lauren’s Hope.